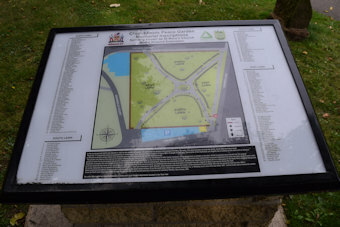 Formerly known as St Mary's Church Burial Ground Extension it was laid out as a public open space in 1977 when all the gravestones, which comprise 177 flat ledger slabs, were taken up and relocated around the edges of the paths. Some of the gravestones predate the original opening in 1823 suggesting they were relocated from St Mary's Churchyard. The GPR holds 184 grave and 587 person records for the burial ground.